We're looking forward to a Fantastic weekend of sailing again. Entry is via the web collect link below. Last year's results are here. 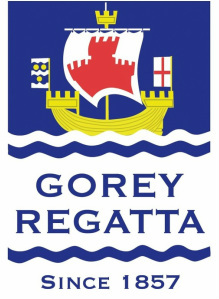 Gorey Regatta is one of the oldest regattas in the world. It is an integral part of Jersey history providing many local and visiting sailors with the opportunity of sailing in one of the most interesting and picturesque locations in the British Isles. Located on Jersey's beautiful east coast the event takes place in the picturesque Royal Bay of Grouville with Mont Orgueil Castle as a backdrop. The regatta is open to yachts of many different classes and offers a range of competitive events with 19 trophies. Tidal conditions control the date of the regatta and other local club sailing events are planned accordingly. It is normally held over a weekend when the tide permits a feeder race from St Helier. Competitors from abroad are always welcome. There are usually visitors from the adjacent coast of France. Registration is easy through this website or by direct contact with the Secretary. The Gorey Regatta Association is very grateful for the support of the Regatta by Logicalis and their sponsorship will help the Association to continue running the Regatta and will enable it to further promote the event.